When it comes to renovating your kitchen or bathroom cabinets, finding an established full-service design-build company is a great place to begin. For over 42 years North Vancouver’s Coordinated Kitchen and Bath has specialized in quality full-service kitchen and bathroom renovations in North Vancouver, West Vancouver, and Vancouver’s West Side. 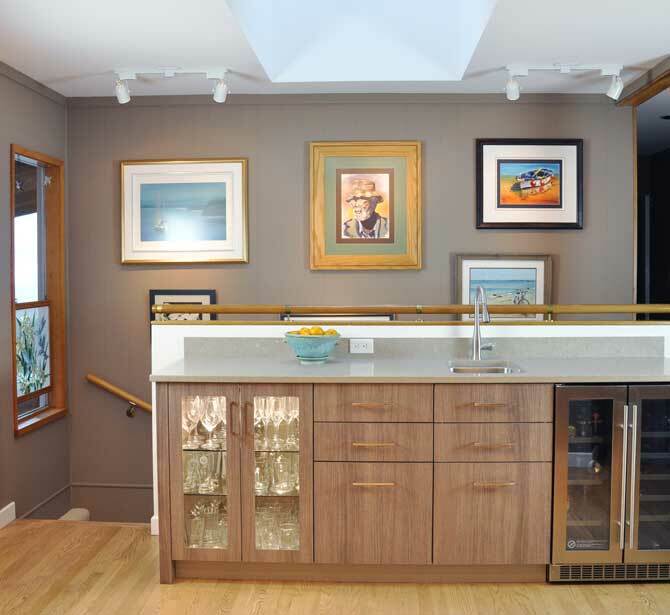 One of the most experienced and knowledgeable kitchen and bathroom designers in Canada, owner Michael Phillips and his team have an eye on each project – from creating the perfect design, to scheduling trades, and overseeing the quality of materials and workmanship. Coordinated’s objective is to ensure your expectations are met in every department. If you know your home needs an update, but you are short on ideas, Coordinated’s in-house interior designers, colour and material experts and kitchen designers are available to help you get the most out of your space and create a look to stand the test of time. From design to installation, the team at Coordinated Kitchen and Bath has the experience to make sure your finished project is everything you envisioned. From countertops and cabinets, to kitchen and bath fixtures and faucets, Coordinated is ready to give you the best products and service available. Members of the Better Business Bureau and the National Kitchen and Bath Association (NKBA), their design and project management team works to design and manage custom renovations from start to finish, to create the perfect kitchen, bathroom, and home renovation every time. If this is your year for undertaking a kitchen or bath renovation, calling Coordinated Kitchen and Bath is a great place to start. Visit our showroom at 123 East 1st Street in North Vancouver or get inspired through our instagram page.